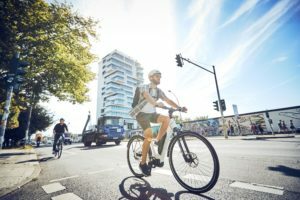 PARIS, France – The current market situation in France is best reflected by Decathlon’s decision to postpone the opening of its own bike production facility in the northern city of Lille. The French sporting goods and bicycle giant has delayed production start by about two years. Although the production figures of the French industry organization Tous à Vélo’s do indicate growth, French local production remains under pressure, while imports are growing. The other big bicycle French retailer Go Sport, with 125 stores in France, also received negative publicity in 2008, with a report about its deteriorating profit during the fist six months of the year. And that was before all the economic problems started. The troubled retail chain saw declining sales at the group’s formula shops where bikes and bike products are sold. First the drop in sales at Go Sport reflected the depressed consumer climate in France already felt in spring and summer of 2008. Afterwards it only got worse. Just at the start of the economic downturn in September 2008 French bike sales were already under pressure. In the end it was clear. Due to the slowdown in business the total number of bikes sold dropped by 3.5% to 3,417,100 units in 2008. 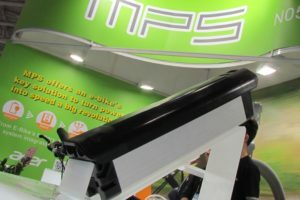 The after sales market for components and accessories was also under pressure. In 2008, totals spend on components and accessories amounted to € 537.7 million, 2% less than 2007. The market position of the sport department stores like Decathlon and Go Sport is generally regarded as very strong in France. Even in 2008 they were able to consolidate their position as leading distributors with an over 50% market shares in the number of bikes sold and 37.5% in terms of turnover. In line with the decline in low-end sales throughout Europe, the food supermarkets saw a further weakening of their position, to a minor 9% market share in turnover. The big winner was the savvy IBD who took advantage of the difficult situation of the sport department stores and the receding position of the supermarkets. In 2008 the IBD saw it market share in units grow from 22.5% to 24.5%. The IBD’s turnover grew from 52% in 2007 to 53.5% in 2008. Is this an indication the French consumer is starting to appreciate the service levels at IBD’s once again? In view of the economic situation the 3.5% decline in total sales is much less than expected. As nearly 70% of the market consists of bicycles for recreations use and another 9.5% for sport use, insiders foresaw substantial cuts in consumer budgets and less expenditure on bikes. It did not yet happen in 2008. To the contrary. The French consumer is spending more than ever before in the bike shop. And with 3,417,100 million units sold in 2008 France is still ranking number four in the world, in terms of consumption of bikes per capita after Japan, Netherlands, and the United States, with 5.4 bikes per 100 inhabitants. But the French don’t spend a lot of money on their bikes, although the average price of bicycles went up by 5.6% from € 248 in 2007 to € 262 in 2008. Price differences between the distribution channels are very large in France. The average price at a mass merchant supermarket is less than € 100, while average price at the IBD is no less than € 573.36. In 2008 the average IBD price went up by 4.95%. The supermarkets saw a slight decline of there average price by 0.5% while the sport department stores realized a respectable increase of 3.6% to € 194.70 per unit sold. Unfortunately the 2008 figures of Tous à Vélo’s do not provide information regarding the average price of e-Bikes. E-Bike sales in France are only slowly picking-up. Related to other European countries, such as Germany and the Netherlands, the e-Bike market is still in its infancy. The bike industry was just able to maintain a slight increase in sales, while the consumption in terms of volume dropped last year. The e-Bike could contribute substantially to a growing turnover. Last year some 15,700 units were sold in France, related to 9,700 e-Bikes in 2007. This segment has been growing for 50% annually in the past three years. 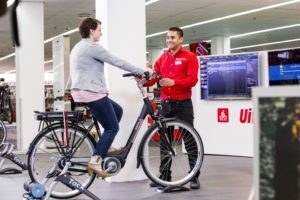 Despite this growth it is still less than 0.5% considering a total market of nearly 3.5 million bikes, while the market for mobility bikes represents about 22.5% of the bikes sold and is growing. The French bike production has seemed to recover from heavy drops in units in previous years. 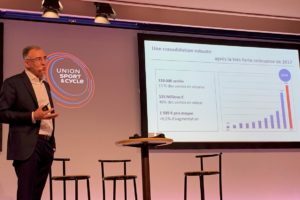 Last year the industry organization Tous à Vélo was not clear about the exact number of bikes produced, but for 2008 local production is crawling back to the 2006 level of 1.3 million units. In 2008, local manufacturers shipped 1,110,000 bikes, of which 80% went to the national market and 20% for export. On the other hand Tous à Vélo’s figures also indicate a major rise in the number of imported bikes (15.5%), an important indication of a growing importance of foreign suppliers on the French market. The end of the Vélib effect? The famous bike rental system Vélib, inaugurated in 2007, made Paris the worldwide leader in city rental bike systems. After Paris, bike rental systems were introduced in many other cities in France and abroad. 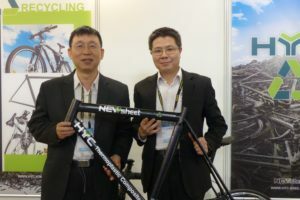 Proponents said it would not only limit automobile traffic but people would also get acquainted with cycling in general and the cycling industry would profit with rising city bikes sales. Indeed, the number of city bikes sold in France last year rebounded. Unfortunately, the jump in sales was short-lived. In 2007 the number of city bikes sold increased by 35.5% to 232,500 units. Insiders thought this would be the growth segment for years to come. However a year later the count has levelled off at 220,000 city bikes. Apparently the Vélib effect was short-lived. Investments in bike rental systems in France may get more and more people to know the advantages of cycling as a means of transportation in the city, but it won’t necessarily attract more buyers to the bike shops.